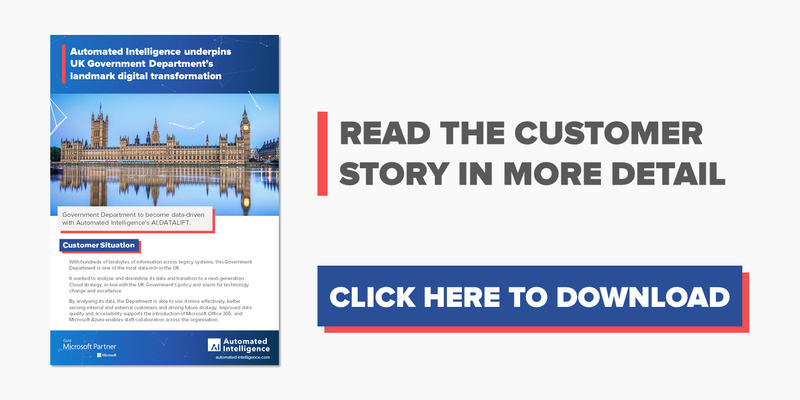 Automated Intelligence (AI) was selected by a UK Government Department for its landmark digital transformation programme. The Department wanted to transition from long-term, on premise legacy systems to a next-generation Cloud strategy. Using AI.DATALIFT, 250tb of the Department’s unstructured data was remediated and transitioned to Office 365 and Azure. Download the complete case study below. Please submit the form below to access downloads and click on a file to download.